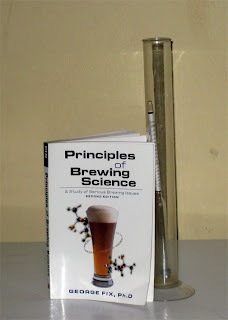 George Fix's classic work Principles of Brewing Science is about the science behind brewing beer. If you are the sort of brewer who wants to understand the "why" behind each step of the brewing process, then this is the book for you. It probably won't make your beer taste much better and it isn't a fun or inspiring read, but it might make you more focused on small the small details of your process that you might have otherwise overlooked. 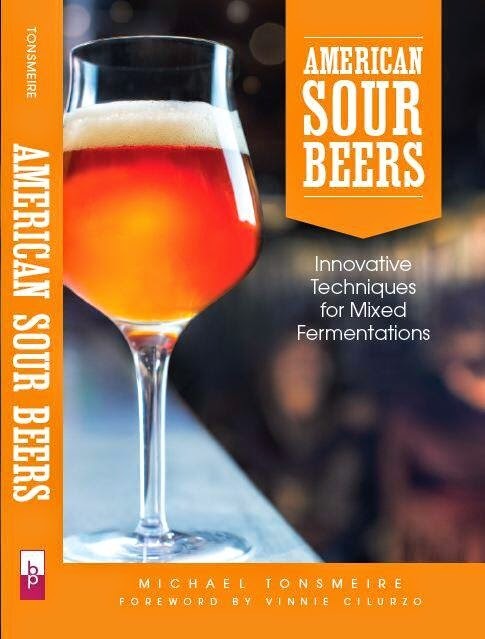 Content: Each chapter covers a different aspect of the brewing process. Malt and Mashing. This section starts with a discussion of water, including the impact of various ions on brewing. This section reads like a chemistry textbook, explaining how the various dissociation reactions function. Fix talks at length about how the various ions and acids affect mash pH and mashing in general. Next the composition of malt is analyzed, this includes carbohydrates, protein, phenols, sulfur compounds (like SMM>DMS), and finally other trace elements. He finishes up this chapter by looking at what happens chemically to barley as it goes through the malting process and into the mash (which he explains as an extension of malting). Wort Boiling. This is where hops are covered, particularly the chemistry behind the isomerization of their alpha-acids into stable iso-alpha-acids. Light struck flavors, hop oils, and other hop compounds are also looked at. The rest of the chapter talks about the other processes taking place during the boil, Maillard reactions, protein coagulation, and DMS reduction. Fermentation. This section tells you everything you could want to know about yeast. From what metabolic pathways they use during fermentation, to the stages of growth. The rest of this chapter talks about various spoilage microbes. This includes, wild yeast (including superattenuators, and Brettanomyces), and bacteria (including Lactobacillus, Pediococcus, and loads of others I had never heard of because they aren't big players in sour beers). Oxidation. The causes of and solutions to oxidation are the focus here. Honestly I agree with him that oxidation is a issue for commercial breweries (although maybe not as much as it sounds like it was 10-20 years ago), but I don't think it is a big issue for most homebrewers. He covers common (and less common) oxidation inhibitors (like metabisulfite and vitamin C). He then goes through a variety of compounds present in beer to talk about what happens to each one when it oxidizes. Beer Stabilization. This chapter is about how to get your beer to be as stable as possible after it is packaged. The main focus is on attaining clear beer. First it looks at the causes behind cloudy beer, then at the solutions. A wide variety of methods are looked at including various fining, cold conditioning, and filtration techniques. Gases. This section mainly looks at carbonation. This is one of the densest sections, covering the various laws that govern how gasses interact with liquids. It finishes with a discussion of how to figure out the correct serving pressure for kegged beer. Accuracy: I have a hard enough time absorbing all of the information, let alone trying to find inaccuracies. That said it was written 10 years ago, so I would imagine that some information does not reflect the very latest brewing science (although I doubt much has changed on the homebrew level). He does occasionally have some advice that I don't agree with, such as that overnight mashes can lead to erratic results (from bacterial contamination). It also bothers me that it seems like half of the citations in the book are to his own papers. I realize that this is the way science works, but it still seems a bit excessive. Recipes: There are no recipes or even discussion of recipe development. Readability: This is the driest brewing book I own, but for the most part it is at a level that you can understand if you really sit down and concentrate. I do wish each chapter included a brief plain English summary with the key suggestions spelled out for quick reference. The way the book is set up you sometimes need to read an entire chapter to find the piece of information you are looking for. Overall: It is worth having on hand if a brewing science question comes up, but I don't think I retained much from reading it cover to cover. At this point there are very few revelations left in it. Many other books have distilled out the key details and figured out the techniques that take advantage of them. I would only suggest this book if you have a passion for science and find other homebrew books to be lacking in this department. Nerd that I am, now I really want this book. Any idea if his articles that he references in the book contain much additional information? "I would only suggest this book if you have a passion for science and find other homebrew books to be lacking in this department." This describes me perfectly. I will have to make this my next read, unless I can find a cheap copy of A Textbook on Brewing.